The South Korean passenger car manufacturer Hyundai is riding high on the huge success of its classy sedan, Hyundai Verna Fluidic in India. This next generation sedan from Hyundai has created waves across the Indian automobile market and earned a huge market space for the company. 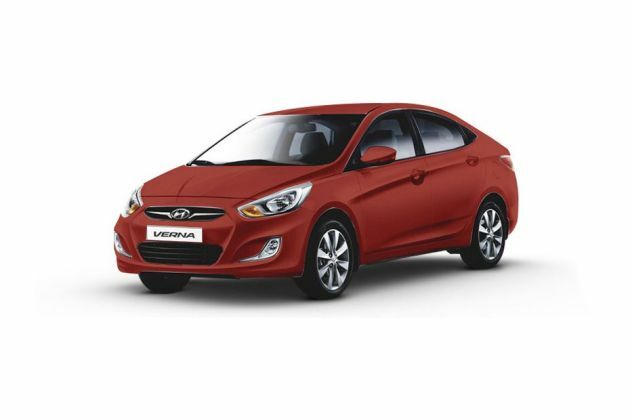 This four wheeler model is available in numerous variants with both petrol and diesel fuel options out of which, Hyundai Verna Fluidic 1.6 SX CRDi is one of the top end variants. The company has powered this variant with a 1.6-litre CRDi diesel motor that comes with 4-cylinders and 16-Valves. This diesel engine is very powerful and one of the most fuel efficient in its class as it can give away 22.32 Kmpl of maximum mileage. One of the most impressive aspects about this model is its sports centric fluidic body design that catches the eyes in the first impression. There are expressive Fluidic lines all over its body that makes it look distinctive and futuristic. Inside this vehicle, there is a plush environment with dual tone black and beige colored cabin. There are numerous top class features installed inside the cabin that takes care of the passenger comforts on the go. Apart from these, sophisticated safety functions like impact sensing auto door unlock, immobilizer system, and central locking system are also integrated to this sedan model. This Hyundai Verna Fluidic 1.6 SX CRDi is undoubtedly one of the best looking sedan models in the car bazaar. Its futuristic and sporty body design caught the attention of many auto enthusiasts across the globe. To start with, the frontal part of this sedan is decorated with the sleek and dynamic design headlight cluster that surrounds the hexagonal design radiator grille. This radiator grille is decorated with a chrome plated strip along with the prominent company logo in the center. Below this grille, there is a sporty design bumper incorporated with a wide air dam and a pair of fog lamps. The side profile of this sedan has a futuristic sort of design with expressive lines that adds a dominating look to the side. The door handles and the external mirrors have been painted in body color, while the window sill have been garnished in black. The wheel arches are well molded and they are fitted with a sturdy set of 16 inch alloy wheels that adds to the elegance of side. The rear profile of this sedan has a very stylish design with boot lid getting fluidic structure and a lot of chrome accentuation. The taillight cluster is very stylish and enhances the appeal of the rear profile. The Hyundai Verna Fluidic 1.6 SX CRDi is one of the high end variants in its model series and it has a very luxurious interior with plush environment. The company obtained a dual tone color scheme with beige and black and brought a magnificent look to the cabin. The dashboard in the front cabin comes with an elegant design with a well crafted central console. The AC vents are well placed on the dashboard that passes chilled air to all the corners of the cabin. The central console of the dashboard gets the high gloss black and wood grain finish that makes it even stylish. The door panels too gets this high gloss black and wood grain finish, which will only enhance the lavish design of the cabin. The dashboard is incorporated with the Supervision Cluster, which is complimented by the Blue interior illumination and chrome packages. There are number of utility based functions installed inside the cabin such as cooled glove box compartment, sunglass holder, cup holder, height adjustable front seat belts, MT Shift indicator and lots of others. The South Korean auto major has equipped this particular variant with a 4-cylinder, 1.6-litre CRDi, VGT diesel motor that can produce 1582cc displacement capacity . This engine is based on DOHC valve configuration and it incorporated with Common Rail fuel supply system that allows it to unleash a commanding power. The maximum power produced by the engine is 126.3bhp at 4000rpm and at the same time it can yield a maximum 259.6Nm of torque at 1900 to 2750rpm. This commanding engine power is delivered to the front wheels of this sedan via a 6-speed manual transmission gearbox. This vehicle has the ability to reach a top speed of about 195 Kmph, while reaching 100 Kmph mark in just about 12.07 seconds. On the other hand, this engine helps vehicle to produce a class leading mileage figure of about 22.32 Kmpl , which is outstanding. This particular variant in the Hyundai Verna model series comes equipped with disc brakes on all four wheels . This disc braking mechanism is further enhanced by the anti lock braking system and electronic brake-force distribution system. This will make the driving a lot safer on wet or slippery roads. As far as suspension system is concerned, the front axle of this sedan is fitted with McPherson Strut type of system with coil springs and stabilizer bar, while the rear axle is assembled with couple torsion beam axle sort of suspension mechanism. This mechanism will keep the vehicle stable and agile irrespective of road conditions. The Hyundai Verna Fluidic 1.6 SX CRDi trim gets some of the best in class comfort features that pay greater value for the money. The list of such exciting features include a proficient automatic air conditioning unit, key less entry function integrated on folding key, electro-chromic inside rear view mirror, electrically adjustable outside rear view mirror, rear view camera with display on ECM, electric power steering system with tilt function, front seat back pocket, theater dimming interior lamp and tons of other such features. The company is also offering an advanced 2-DIN music system with USB and AUX-In support and Bluetooth connectivity with controls mounted on steering wheel. The company is offering this particular variant with some of the top rated safety and protective aspects. This list of safety features include dual front air bags, anti lock braking system with electronic brake-force distribution system, impact sensing auto door unlock, front fog lamps, clutch lock system, central locking system an engine immobilizer system and rear disc brakes. These safety aspects offer a high level protection to all the passengers inside the car. Pros : Great cabin design, magnificent fluidic body structure. Cons : Price is too high, more equipments can be added.